Mackay Sugar announced that it had successfully acquired the milling and related assets of Mossman Central Mill for $25.3 million, with the transaction completed on 4 June. The transaction involved Mackay Sugar issuing approximately $12 million in Mackay Sugar shares to Mossman Central Mill, and assuming their $13 million debt. The shares, which amount to approximately 3.3 per cent of the issued capital of Mackay Sugar, will be held by Mossman Central Mill. Mackay Sugar Chairman Andrew Cappello said the acquisition would enhance Mackay Sugar’s operations and contribute to the growth of its core business. “This is an exciting milestone for our company, as it presents additional cane expansion opportunities, which will increase our capacity to produce more sugar. “We have extended our various cane production incentive schemes to our Mossman growers, which will assist us to realise a 25 per cent increase in cane supply in the first four years. “In the last few weeks, members of Mackay Sugar management have been meeting with Mossman growers and employees to facilitate a successful transition and prepare for Mossman’s 13 June season start. 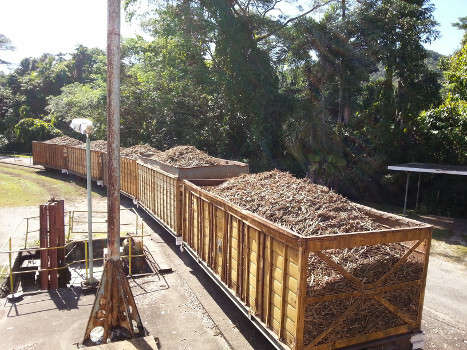 “We estimate Mossman Mill will process approximately 550,000 tonnes of cane in the 2012 season, with more than 6 million tonnes expected to be processed across all four mills,” Mr Cappello said. The export sugar produced by Mossman Mill will continue to be marketed through Queensland Sugar Limited, with a portion provided to the local Daintree Gold food grade bagged sugar operation under a commercial agreement. Mr Cappello also said Mackay Sugar’s Board and management were looking forward to working with Mossman Mill growers and employees to get the mill back up and running to its former production capacity. The sale was announced to Mossman shareholders on 30 April 2012. 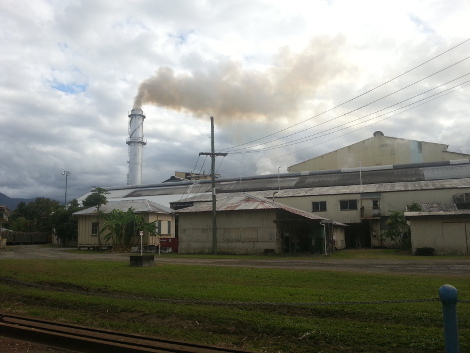 Mossman Central Mill Company Limited started life as a grower owned Co-operative sugar mill back in 1894. In 1897, Mrs Annie Rose fed the first sugar cane into the mill and the Company went on to produced its first sugar after crushing 27,905 tons of cane for the intial season. In 1906, Mossman Mill became the first Queensland mill to crush over 100,000 tons of cane. That season lasted just under 8 months extending from June, 1906 to late January, 1907. Initially, sugar was shipped from Port Douglas however, in latter years road transport came to the forefront and sugar was road transported to the bulk sugar terminal in Cairns. L.J.F. Prince (General Manager) pioneered the use of computers for cane payment accounting and in 1971 Mossman purchased the first process control computer used in the world sugar industry. The Company has always played a major role in the districts economic future and diversified into aqua culture by establishing a prawn farm just south of Mossman. The Company operated the farm until mid-2003. Tourism was encouraged and Mossman started the Ballyhooley Steam train at a time before the region was known as a holiday area. Both were sold in a restructure that occurred in 2003.